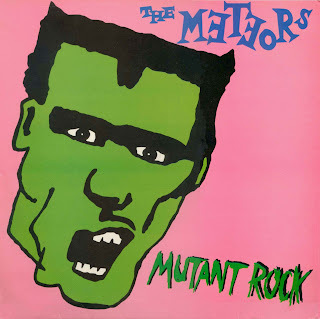 The original Mutant Rock/Hills Have Eyes 7" came out in 1982. This 12" was released in 1986 on I.D. records. It was apparently a limited edition coming in green vinyl. The band's career wasn't meteoric at all... as a matter of fact Fenech and his crew just released a new album. Needless to say... Fab Stuff! I saw these lot in 82 supporting The Anti Nowhere League. Cult Maniax were on the bill as well. Total Mayhem! Cheers for this one. Total Mayhem! I believe that Longy! What a gig it must have been! Curiously enough I'm about to post some Cult Maniax! Cult Maniax......don't let me stop you! I uploaded a live from my own ex-band. Will check it out asap Anon... but at the moment the downloading process is way to sloooowwwww! Would take me a week at least! Will try again later..